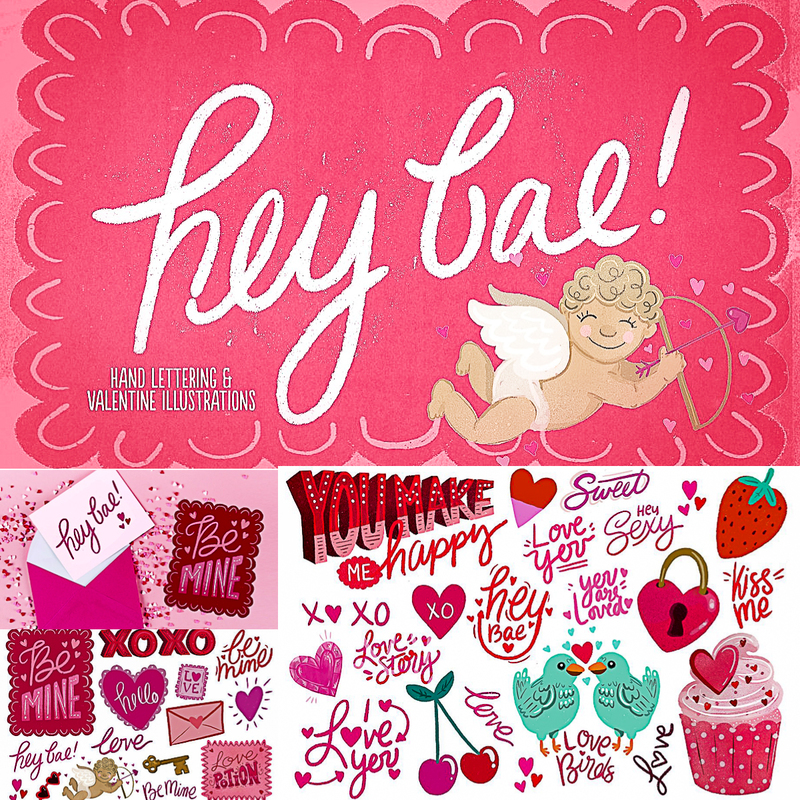 Introducing cute illustrations and hand lettered type for Valentine’s Day. Perfect for cards and Valentine’s for your loved ones. What you get: 1 Layered PSD file with smart objects, Individual Hi-Res Png files of each element. File format: .png for Photoshop, Illustrator or other software. Tags: angel, Baby, birds, cherry, cupcake, cupid, heart, key, lock, love, lovebird, romantic, St.Valentin's Day, Valentine, valentine card.